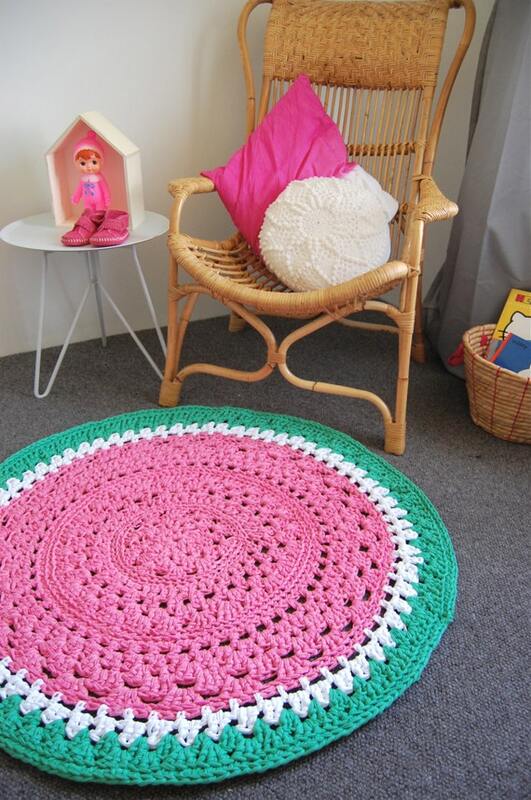 A few months ago I had an idea to crochet a watermelon rug for Willow's room! I mean, because what kid (and adult) doesn't love watermelons! I used Zpagetti yarn, which is so fun to work with, and you can crochet rugs and bowls and all sorts of things, its stretchy and 100% cotton. Anyway, I finished it a while back, and then because I loved it so much, and I got some great feedback about it, I decided to make another! And I am planning to make even more! I just put the second one that I made up in my Etsy Shop. My Etsy store has been laying dormant for a while, so it only has this one crochet watermelon rug in it at the moment, but I have a few other things to fill it up a little more! I realised that even though I had shared my rug on my Instagram (I'm @yellowdandy if you want to follow along) and on my Facebook page, I never actually did a blog post about it. What was I thinking! So here you go! Here is my favourite new creation! And you can tell that Willow likes it too, every time I tried to take pictures of it, she just wanted to be on top of it! 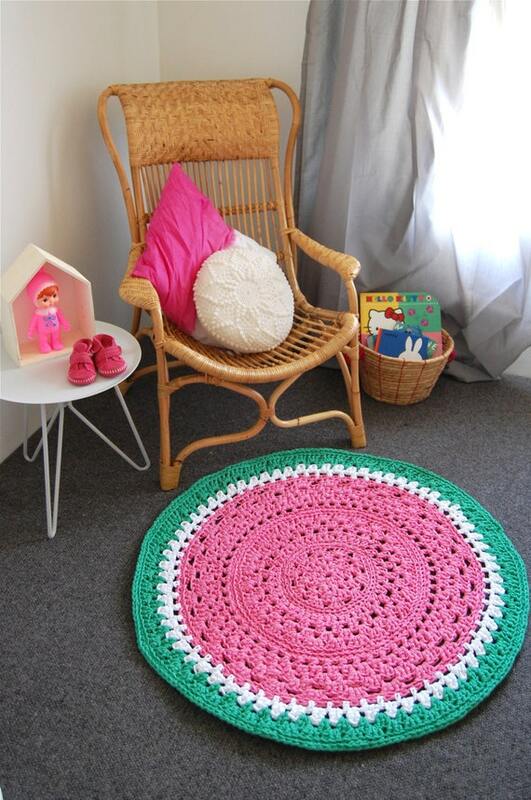 6 comments on "Crochet Watermelon Rug "
That rug is stunning and I will have to check out your store! How long have you been crocheting and how long did this take to make? I enrolled to learn in a course recently but had to pull out on the day thanks to sick kids (the story of my life)!